I have been addicted to opiates for 12 years. Started out with pain pills and progressed to IV heroin in the last year, when the pills proved to be too expensive and very hard to get. I don't know how to want to quit. I SHOULD want to quit-I'm on the verge of losing my children through the courts if I don't get my act together immediately. I am newly prescribed Suboxone, but every time I start to take them, I will wait a day and I still go through PC withdrawals. I think the heroin I'm using is laced with long-lasting Fentenal and that's probably why. I am almost afraid to get clean. I will have to face so many things that I've been in a haze for: losing my grandfather (passed away) and my grandmother (moved very far away) and they raised me because my mother was on crack cocaine. Also, being attacked in my home when I was pregnant and having my throat slashed. Third, the father of my kid's killing himself because we couldn't quit drugs and me coming home to find him and being too late to cut him down, then ending up in the pysch ward from this. Then losing custody of my children and getting clean with Suboxone for a year to get them back only to relapse after more trauma, failing to be a good mother because I relapsed after that year clean (although they don't know this. ), a newly opened CPS case where I will be expected to give a clean hair screen in a few months... and what if I can't quit heroin in time? Last time was "just" pills. Just so many things I will have to face. On top of it all, I'm partially deaf and I do well in 1 on 1 conversations, but in N. A meetings I've never been able to hear anything in group settings. They have never helped me and I feel like I'm missing out on some kind of epiphany that others get. If anyone I know is reading this, I know you can tell who I am because of all the identifying factors, but I'm desperate for help, please understand. If anyone has advice, please help. ANY advice is welcomed...please..I want to quit so much but I'm scared. What if I fail again? Heroin effects our reasoning and emotions. Heroin addiction is a disease of the brain. So when we use, we can't face quitting because our brain is telling us we can't quit. Our our brain becomes our enemy. It changes our emotions so that we only want to use regardless of the consequences, which is why it's such a tough addiction to get rid of. If you were able to quit for a year, hopefully you will be able to quit again. You've had so much trauma in your live that it would be so helpful for you to find a good dual-diagnosis addiction treatment center. You likely need to have not just your addiction treated but trauma therapy to help you to handle the PTSD that you're likely suffering from. 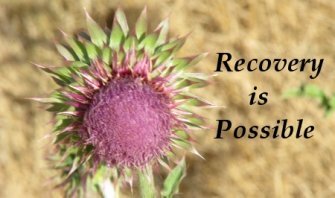 Please consider finding a dual diagnosis treatment center to get both addiction treatment and psychological treatment for your past trauma as well. I hope you are doing at least somewhat better than how you were when you posted that comment. I have never heard a story so traumatic and unfortunate. However, I would like you to know that you are not alone, and I know that drugs help conceal the problems you do not want to face, but it is important to resolve them. You can already identify them and address them, which is great(! )but you must take the next step: you must get sober enough so you can actually feel those emotions that arise when you deal with those issues. It is not fun. You will not like it, and I am sure those emotions are going to hurt like heck, but I think you really need to de-tangle them now while they are still "fresh knots" so to speak, before they are horrendous clumps that have no very little hope of getting straightened out. It is not too late! I believe in you with all my heart and soul! It is very possible, and you will face many hardships from this, but after the pain subsides a bit and you get to see your kids again, you will be so much happier. All heroin is is a empty pleasure. It may feel pleasurable to you, but it is also something that is empty (does not benefit and instead takes away) so it will make you feel empty as well. It makes you feel lost, not know who you even are without it I guess. You are strong enough to do this. I want to let you know that even though you may not hear all that the people are saying, the whole point of the meetings is to be near others of the same kind. Just being near others should benefit you. Their words are nice to hear, sure, but just look at their facial expressions. Others' reactions as well. Observe them like you are watching birds- watch them so intently that you feel like you are completely encompassed in the discussion, that you are a part of it, that YOU belong, and that they appreciate your presence, that YOU help others by being there, and that YOU are like a spring to them: you are providing them with additional strength. you have to feel more confident, otherwise you will feel worthless. Feel like you are the center of attention during those meetings, that way you do not feel like you are just a bystander. I believe in you. I really do believe in you.